Eight-year-old Chloe is a huge fan of the Houston Astros — so huge that her loud cheering provoked another baseball watcher to scold her in a Facebook video that went viral. 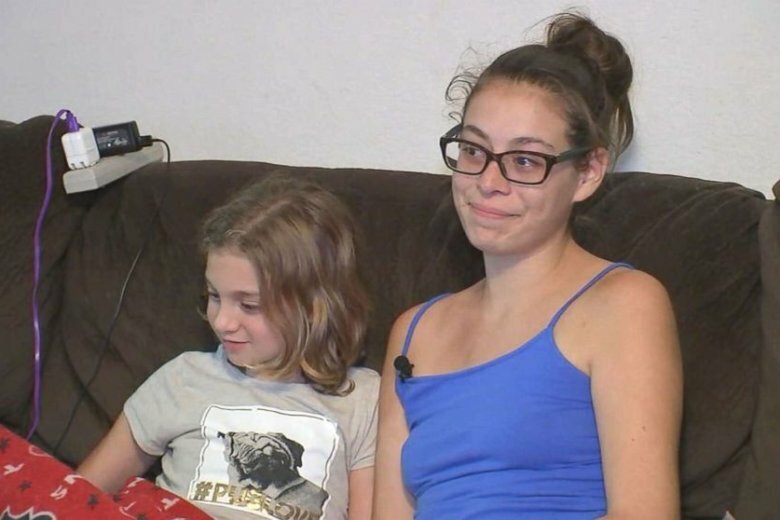 (HOUSTON) — Eight-year-old Chloe is a huge fan of the Houston Astros — so huge that her loud cheering provoked another baseball watcher to scold her in a Facebook video that went viral. Now, thousands of people and a few Houston Astros players are defending Chloe for her enthusiasm. Chloe’s mother, Monica Beaver, posted a video on Facebook on Monday which shows a woman sitting in front of Chloe turn around and shout, “Enough!” Chloe’s face falls and she becomes subdued. The video has been shared more than 11,000 times as of Thursday evening, with many people jumping in to defend Chloe’s enthusiasm. Astros outfielder Josh Reddick joined in with a supportive tweet of his own, along with pitcher Lance McCullers Jr., who offered to leave her a ticket for the first game of the American League Division Series. Chloe suffers from something called disruptive mood dysregulation disorder. According to her mother, Chloe has trouble comprehending emotions. Cheering at baseball games is a positive outlet for her. “Completely defeated and refused to cheer the remainder of the game (5 innings) in fear she would get in trouble by this lady again!” Beaver wrote in the Facebook post. Disruptive mood dysregulation disorder is found in children and adolescents. Its symptoms include angry outbursts that the child expresses verbally, or through physical aggression, according to the American Psychiatric Association. Not much is known about DMDD, as it has been identified relatively recently, according to the National Institute of Mental Health.